A few weeks ago, my brothers made the trek from Chicago to join me and the rest of my father’s family in visiting Gessner one last time. 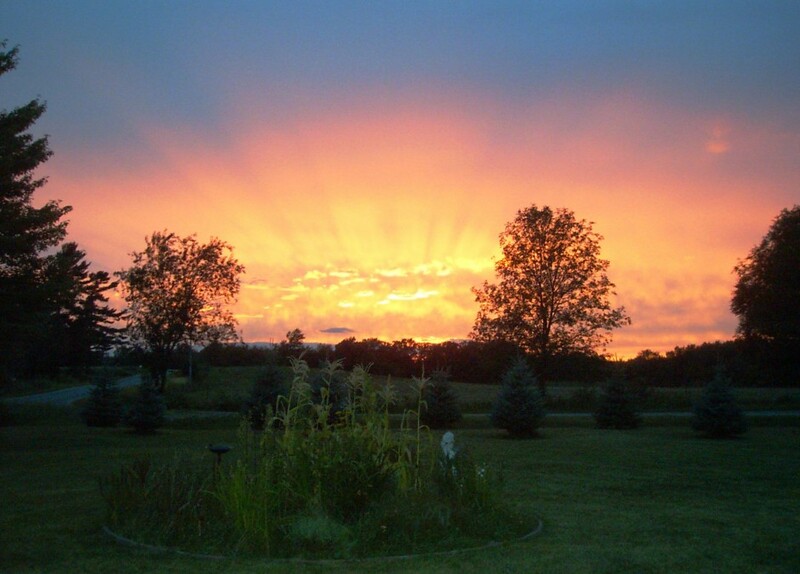 This beautiful old farmhouse, named for the road near which it stands, was the place where my grandma lived for over forty years and where the three of us had spent much of our childhoods. Now my grandma’s fragile health has forced her into assisted living and the house, now empty, has to be sold. Fortunately, my brothers and I were able to use this reunion to re-live long-cherished memories and lay claim to artifacts from our childhoods. Here are some of the highlights of that last, bittersweet visit. 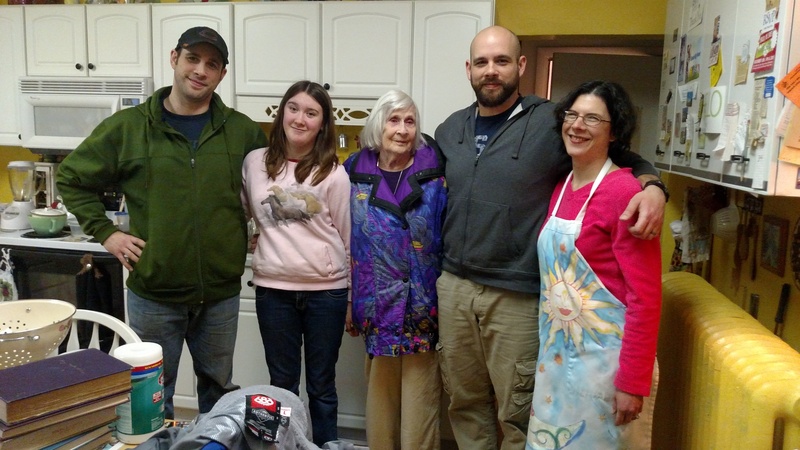 My brothers, sister, grandma, and I are standing in the kitchen where we’ve eaten so many meals together. 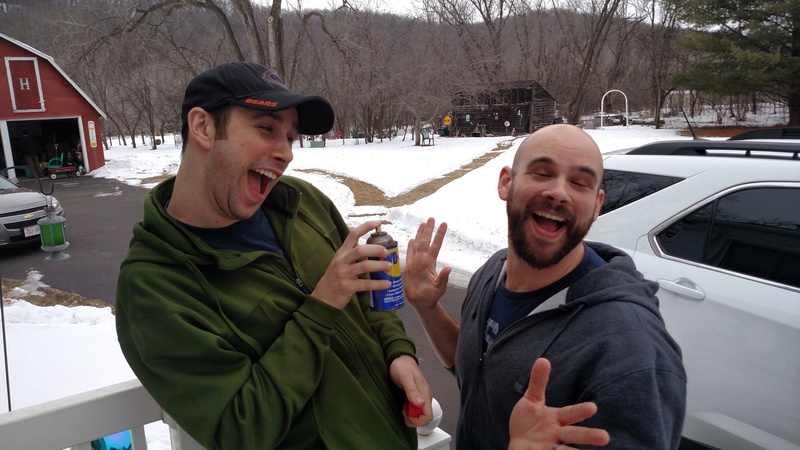 My brothers re-enact the ill-advised WD-40 fight they’d had on Gessner’s porch when they were in second grade. While the fight left THEM unscathed, my grandma, who was babysitting us, was understandably traumatized. 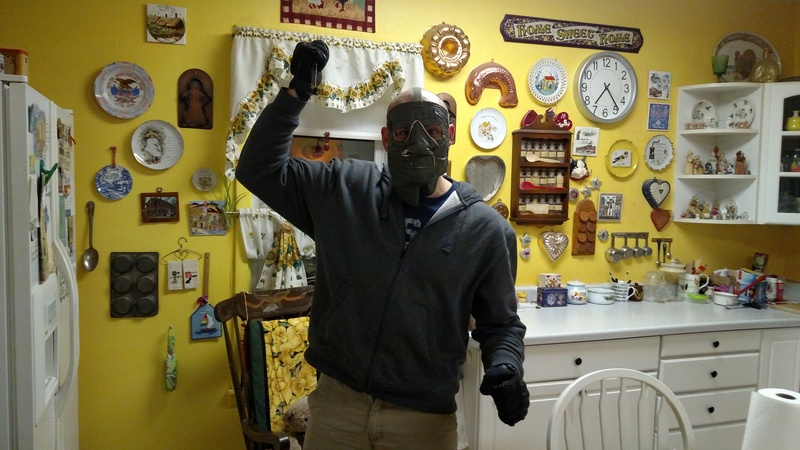 A mask that my brother Dan found in Gessner brought out his inner psychopath. 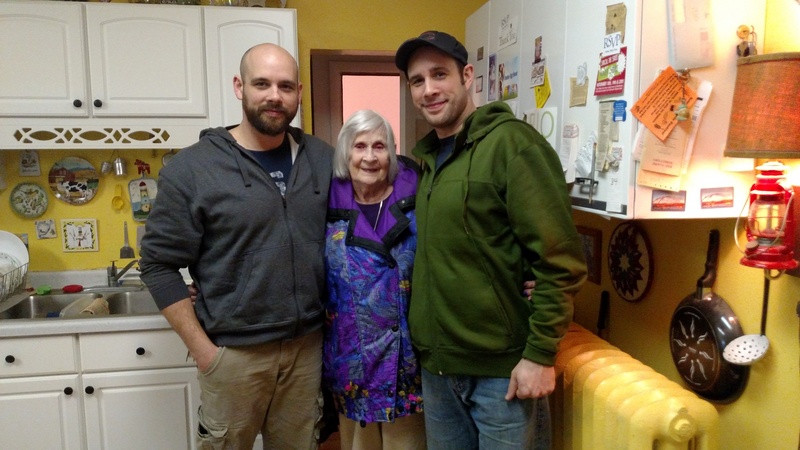 Fortunately, Dan and Jeff were both perfectly sane when Grandma came back on the scene. 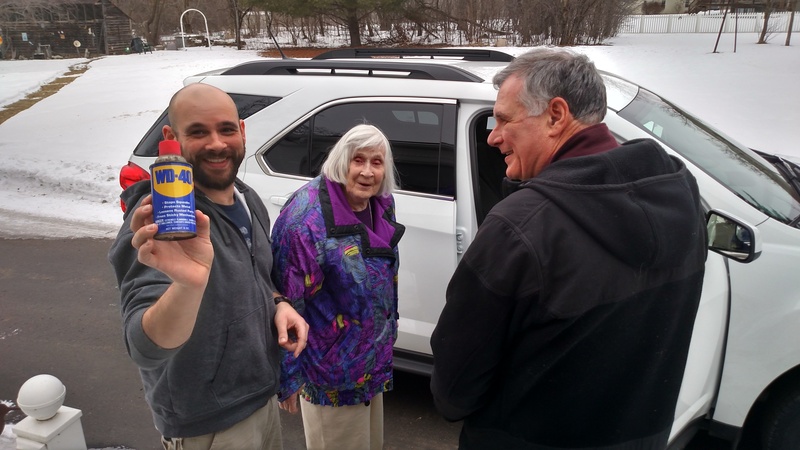 Dan triumphantly wields the WD-40 can as Grandma and my father say goodbye.